Walmart, one of the largest retail chain of stores in the world seems to be confused with their India plans. It has been nearly 6 years since they made their announcement about entering India. However, over those 6 years, they have only gone back and forth with their plans. Early in 2007, they tried to enter India on their own, and when the plans failed they forged a partnership with Bharti to setup a wholesale cash-and-carry business and supply chain management operations in India. After years of this partnership not going anywhere, Bharti Walmart partnership was annulled. It was decided that Walmart would buy out Bharti’s 50 per cent stake in the cash-and-carry business to take over the full wholesale operation in the country. Later in October of last year Walmart announced that they will be suspending their expansion plans in India and rather concentrate on China, given the unclear regulatory environment in regards to Foreign investment in retail sector. Now, 5 months after this announcement, Walmart again seems to have formulated new plans for India – this time online rather than offline. 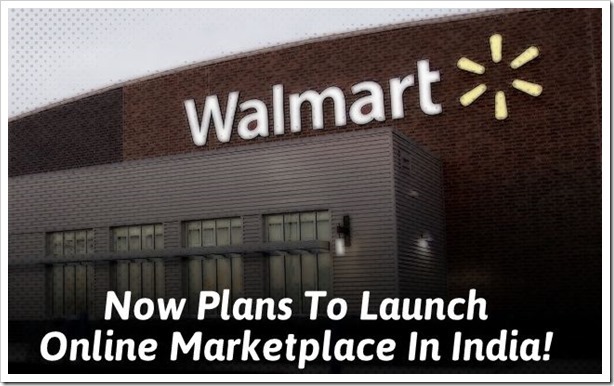 According to ET article, which cited sources familiar with the plans, said that Walmart is now getting ready for a major push in online space. The are planning to launch online marketplace kind of model similar to how Amazon and eBay are operating in India. Walmart seems to have a team of about 15 to 17 people working out of their India office who are working on developing the online marketplace. The article says that the online marketplace will go live in about three to four months. The interesting thing about this is that this project has been going on for past 7-8 months will initially serve wholesale consumers as early as March end. While up until now, Walmart has gone back and forth with their plans, it is primarily due to the unclear regulatory environment. To setup brick and mortar business in India, one needs huge number of licenses and clearances. On the other hand, setting up an online store is much simpler, faster and requires much lesser regulatory permissions. It seems Walmart is looking at finally starting their India operations with online marketplace model and then slowly move into brick-and-mortar stores depending on how various FDI regulations pan out. Wal-Mart’s entry into ecommerce space in India is sure to churn things further and make life even more tougher for incumbent Indian players who have been burning cash through their noses for past few years. Some really interesting times ahead for sure!